I might be back from traveling, but I’m definitely not finished writing all the posts I took photos for before I left! Good intentions, poor execution. As a result, I’ve got some travel-friendly posts coming up but I still have more trips planned for this summer and if you do as well, these are some items you may want to take with you! 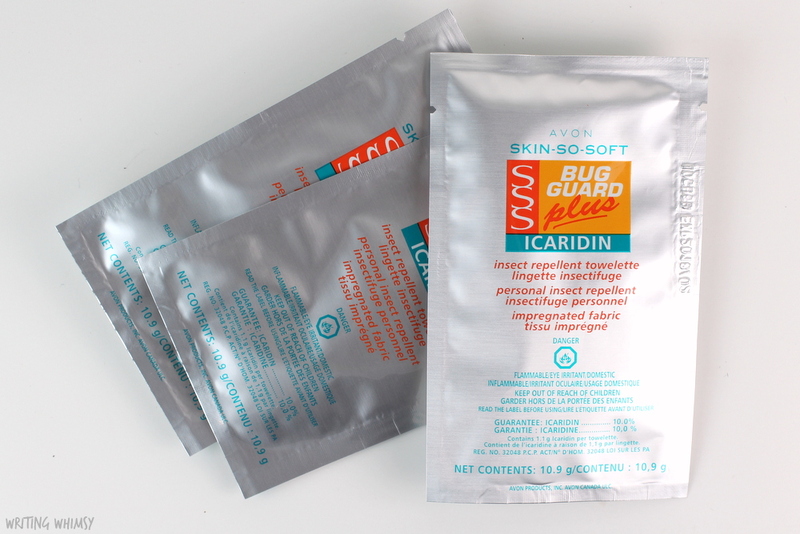 This edition of Beauty on the Go features products from Avon, Mary Kay and Clarins. Imagine this scenario: you’ve just arrived at your hotel room and you go to open your suitcase and break off your nail. Something similar has happened to all of us–or if not, I kinda resent you–so I always travel with a few nail essentials for emergency repair. 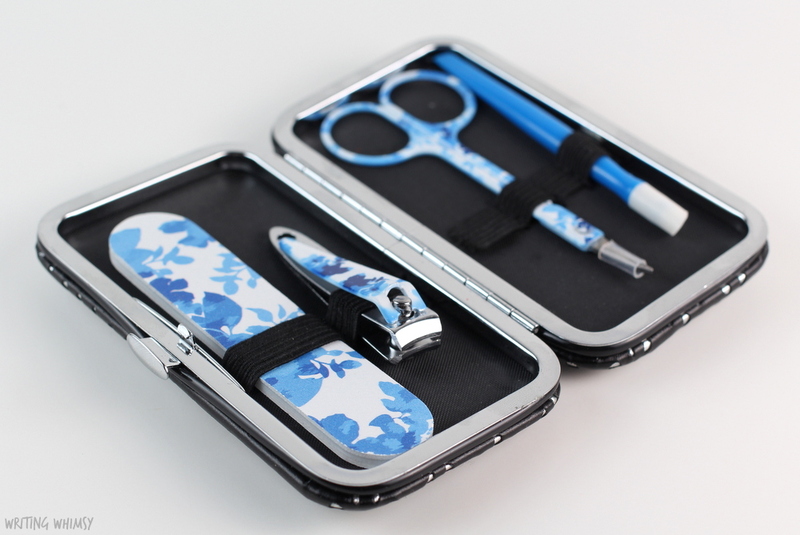 The Avon Perfect Manicure Kit is a cute little set that comes with a nail file, nail clippers, scissors and cuticle pusher all in an adorable case. It’s super convenient to just keep in your purse, but the tools themselves are a little flimsy so they aren’t ones I’d use day-to-day. But for travel? Perfect! I was really excited when I received the new Mary Kay Discover What You Love Travel Roll-Up Bag before my trip. 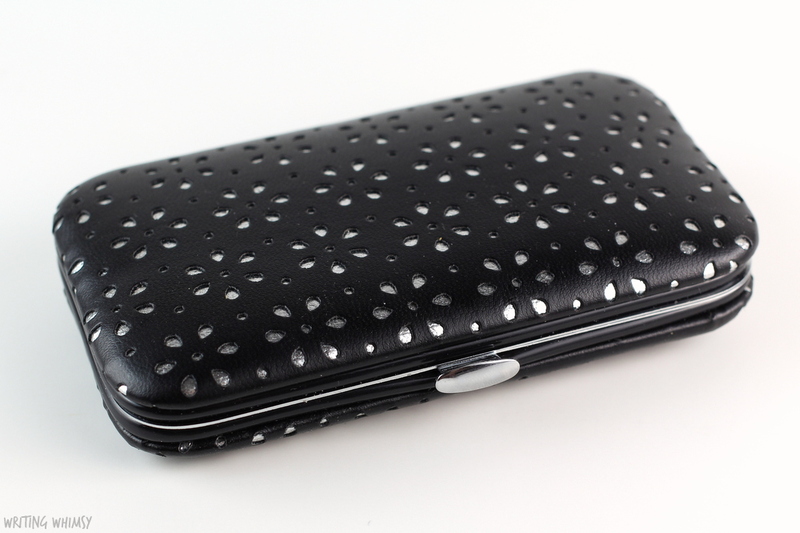 This is a new design on the outside but a classic product on the inside. The case contains four clear, removable plastic zippered pouches which are perfect for organizing your makeup and skincare when traveling. I love that you can take them out and they are also easy to clean. The bag folds into a rectangular travel case with a handle on the outside as well as a hook on the inside to hang it up while open. After using this case for three weeks, I can confidently say it’s super convenient and definitely something I would take with me on future trips. One product I wish I didn’t have to take with me on trips, but I’m glad I did, is the Clarins Truly Matte Blemish Control. 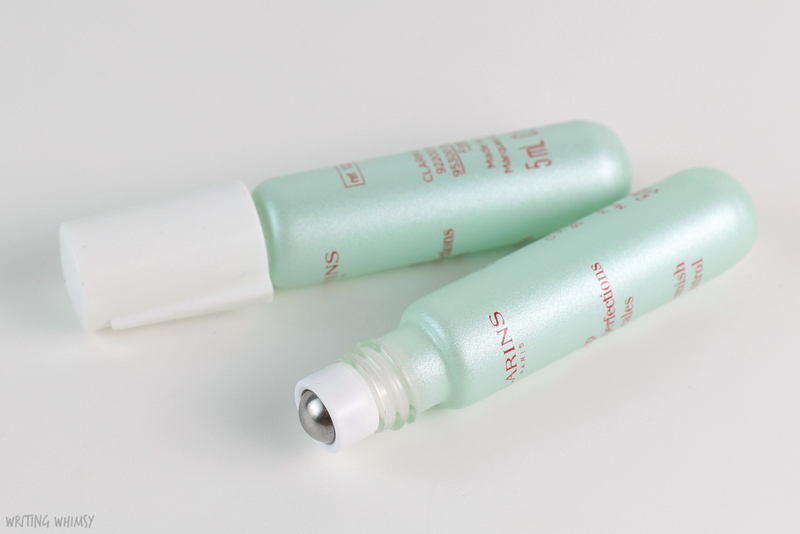 This little emergency treatment for acne comes in a tiny rollerball. 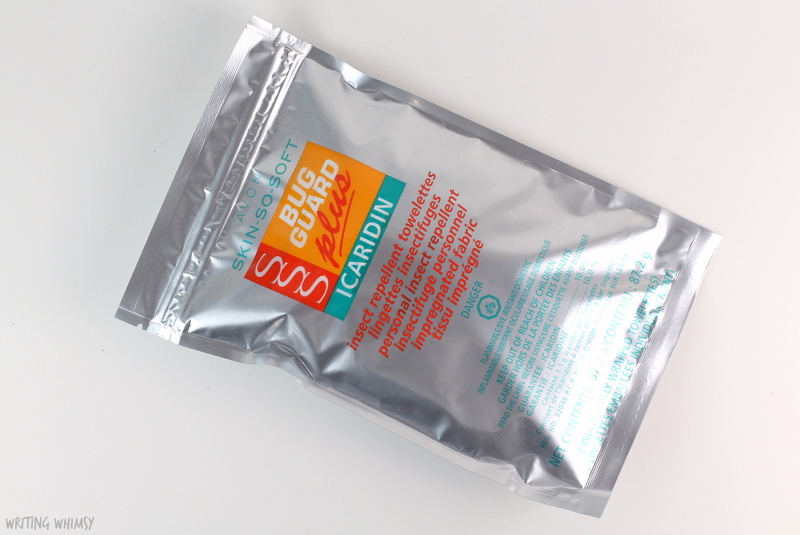 Each set comes with two so you can store it in your purse to reapply on-the-go and also keep one at home. Ingredients include witch hazel, white nettle and wintergreen. I find it soothing to apply and it didn’t even disturb my makeup when I used it on top of it. In terms of blemish control, while it’s not quite an overnight miracle, I definitely noticed that it decreased the size and severity without causing dry patchiness. I tend to reach for more intense treatments and then the healing process is much longer, so I’ll be using this Clarins product instead going forward. 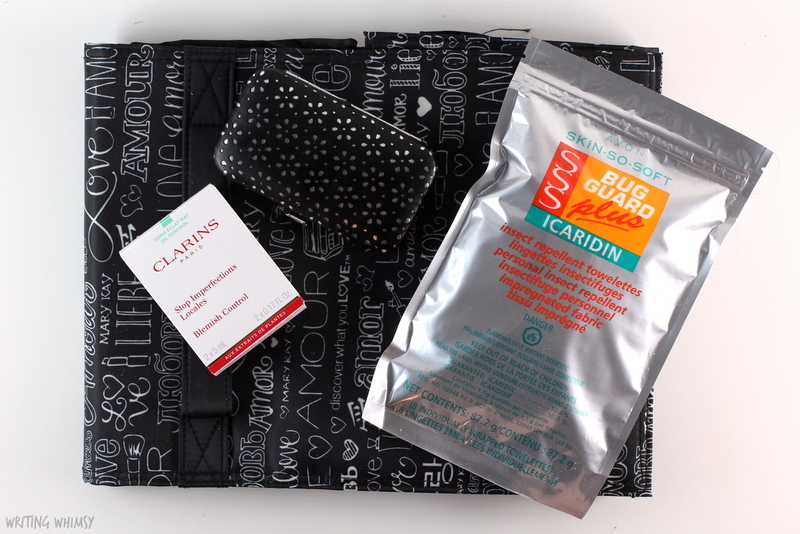 I like to travel prepared and these beauty on the go products from Avon, Mary Kay and Clarins are perfect for all those situations–broken nails, bugs, and blemishes–you hope not to encounter but probably will. Pack everything up in a great travel case and you’re all ready for your next trip!